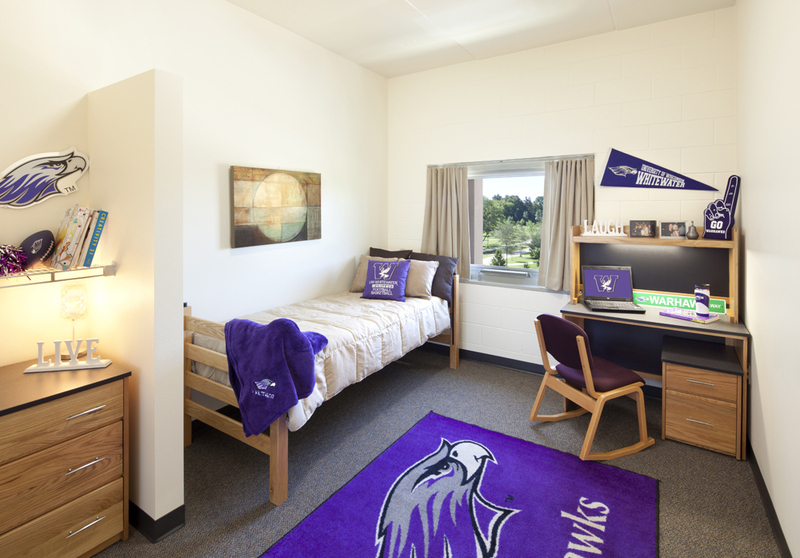 A highly collaborative process was a hallmark of designing a 446-bed suite-style residence hall at the University of Wisconsin at Whitewater. Home to a national champion wheelchair basketball team, the Whitewater campus has been designated by the UW System as having a special focus on accommodating students with disabilities. 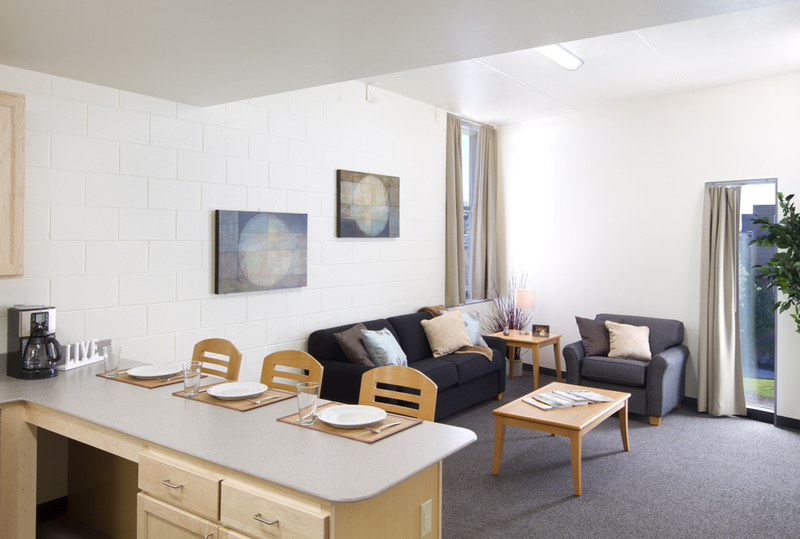 Early in design, a workshop on universal design, led by the director of the university’s Center for Disabilities and attended by staff, students, university representatives, and the design team established the high level of accommodation desired in the new residence. 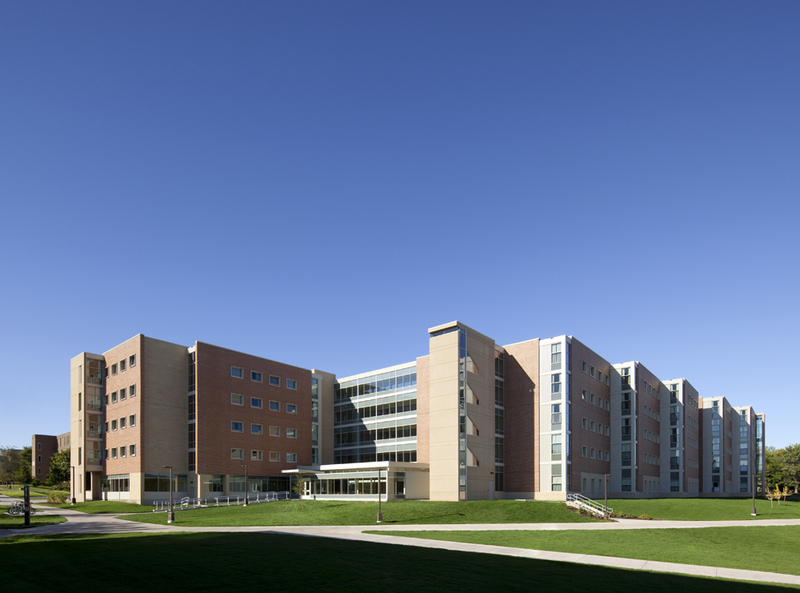 The project includes suite style accommodations with four sleeping rooms and a private component bathroom, lounge, and kitchenette, 10 R.A. suites (5 are ADA accessible), two “collaboratories” for group study, a state-of-the-art computer lab, seminar room with moveable partitions for maximum flexibility, a student lounge / multi-purpose area, and common laundry facilities. 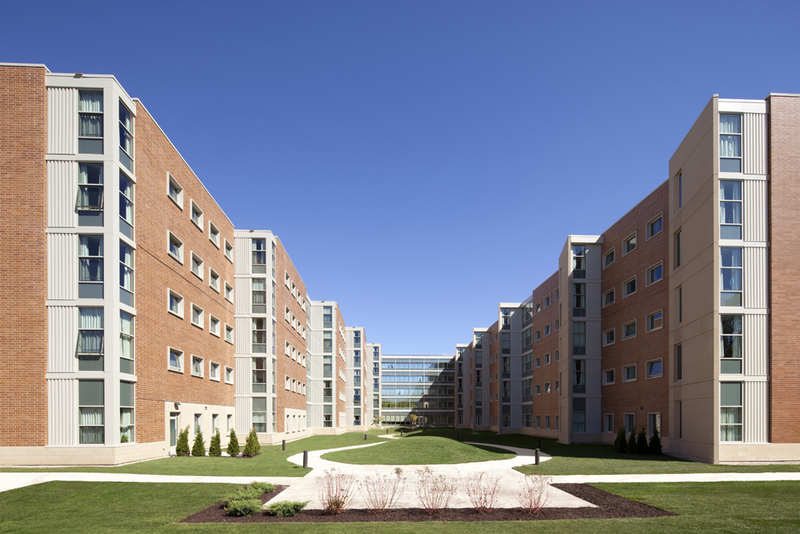 Starin Hall received LEED Gold certification. In support of the project’s goal of achieving LEED certification, a sustainable design workshop established a common awareness of sustainable concepts that was used throughout design. 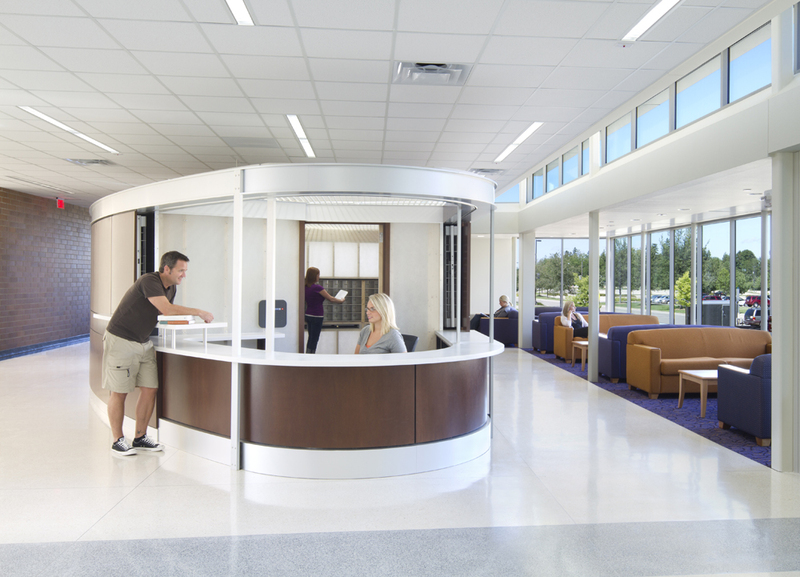 This project was designed in partnership with Cannon Design.